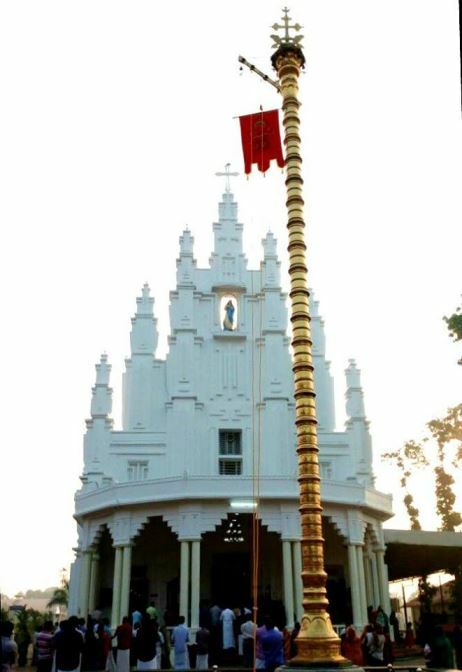 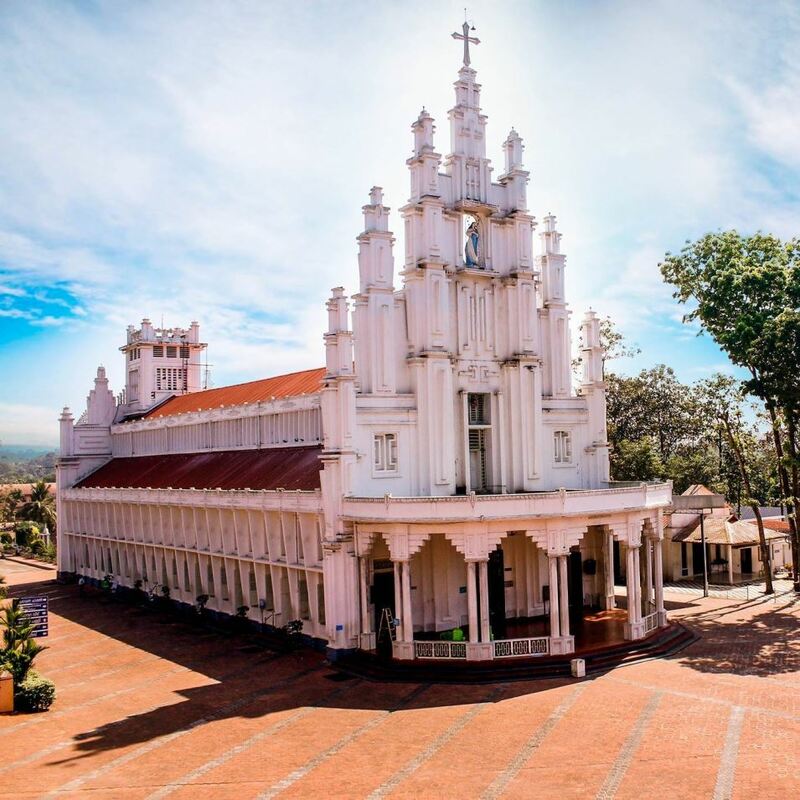 St. Mary’s Forane Church, Athirampuzha, a world-renowned pilgrim center of St.Sebastian is dedicated to Blessed Virgin Mary. 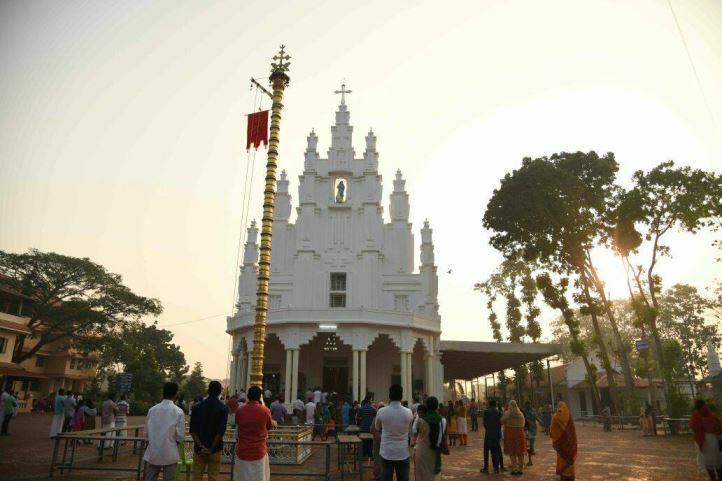 This church is about 10Kms away from Kottayam has been the hub of Christian life in and around central Kerala, India from early 9th century. 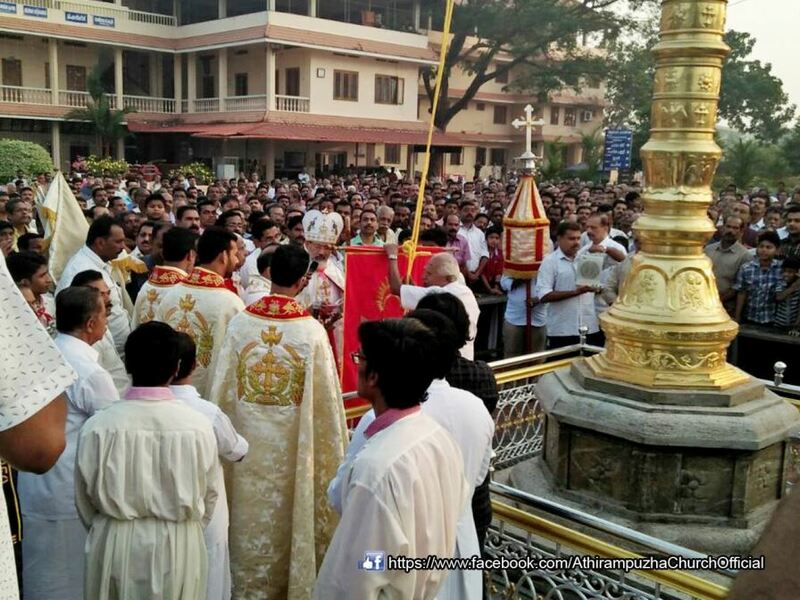 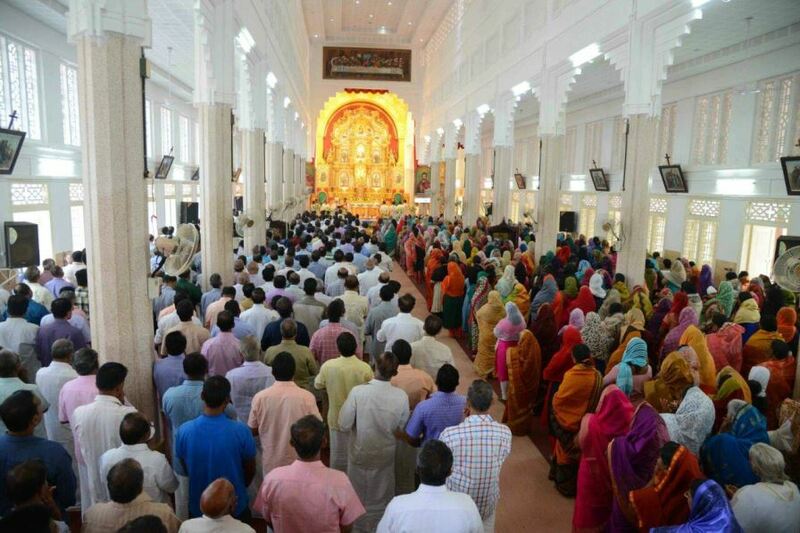 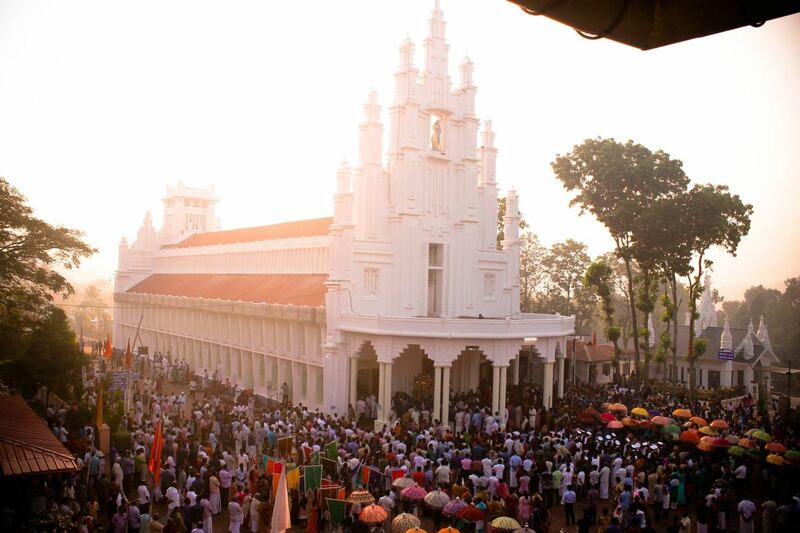 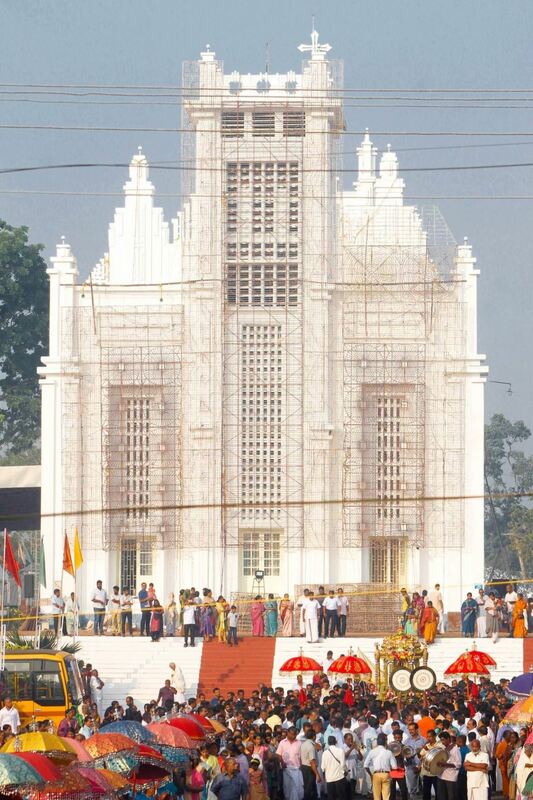 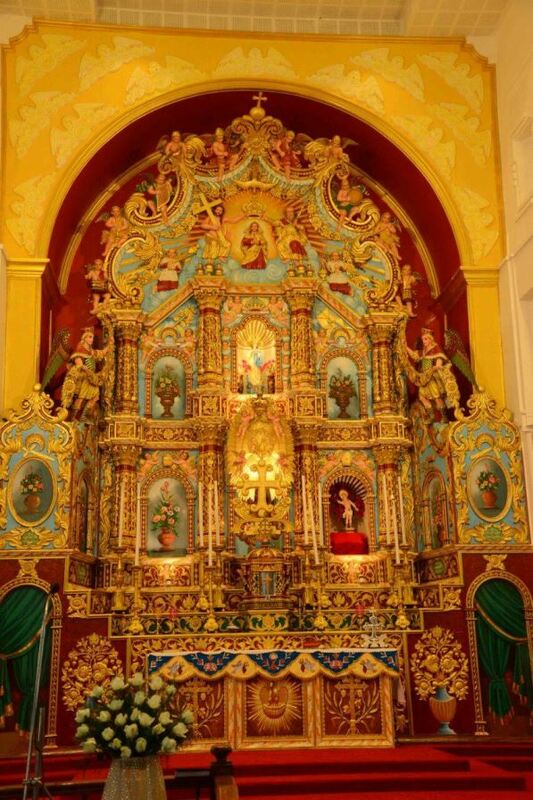 This is one of the biggest parishes of the Archeparchy of Changanassery. 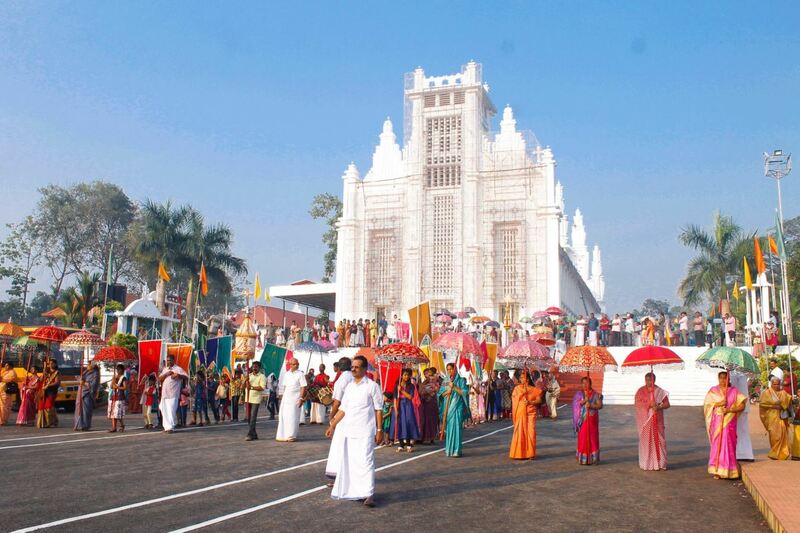 It consists of almost 2500 families and the total number of the faithful exceeds 10000. 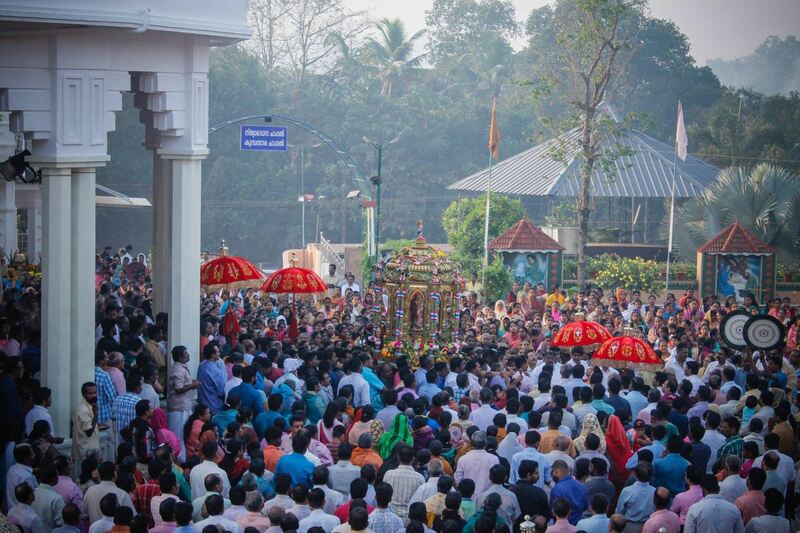 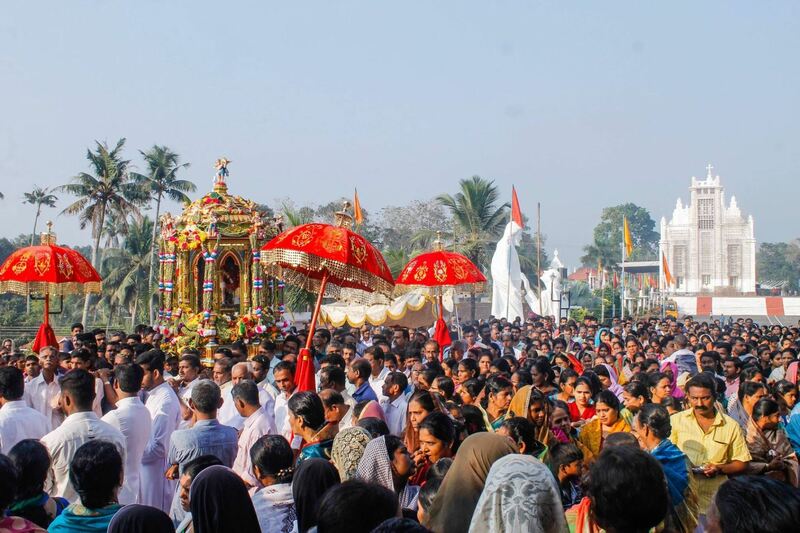 The procession is a spiritual ablu for the devotees. 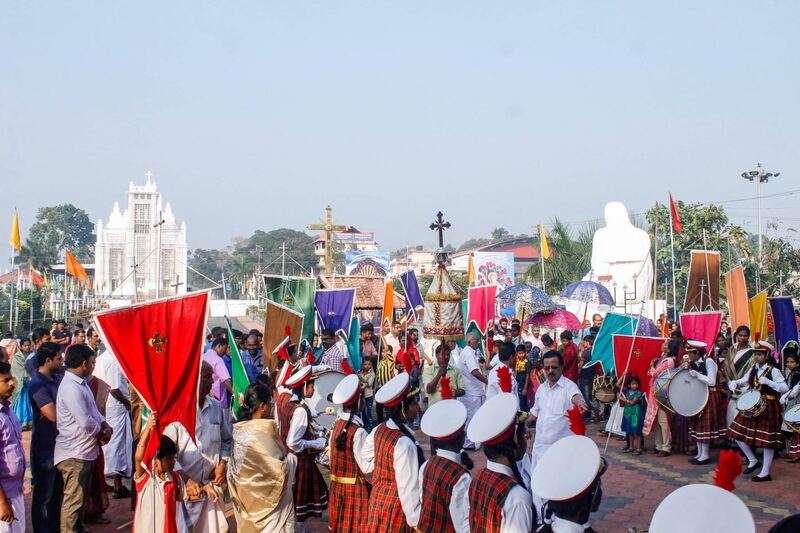 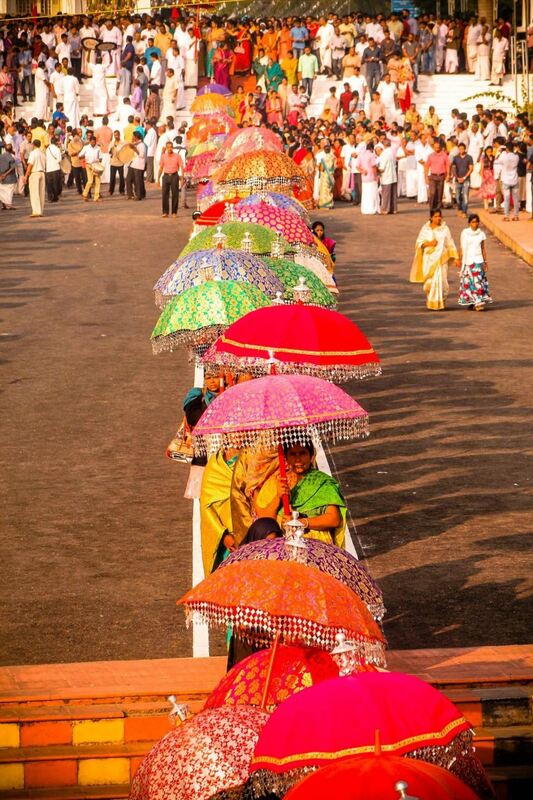 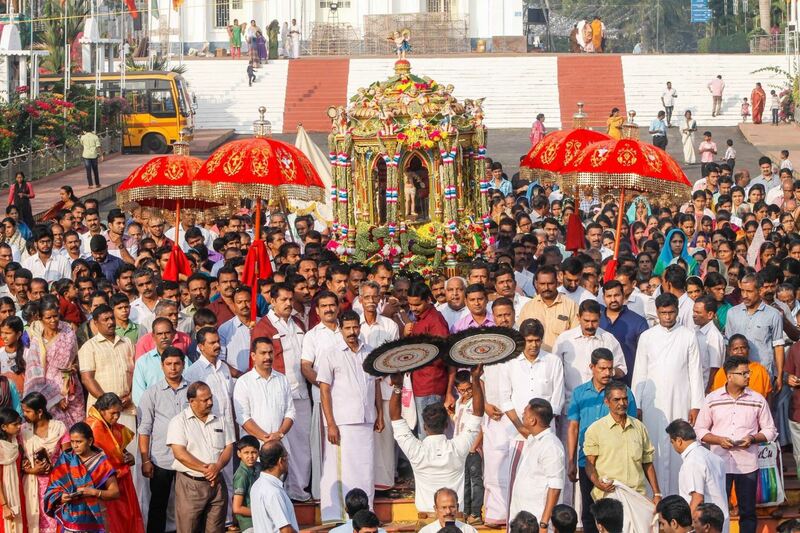 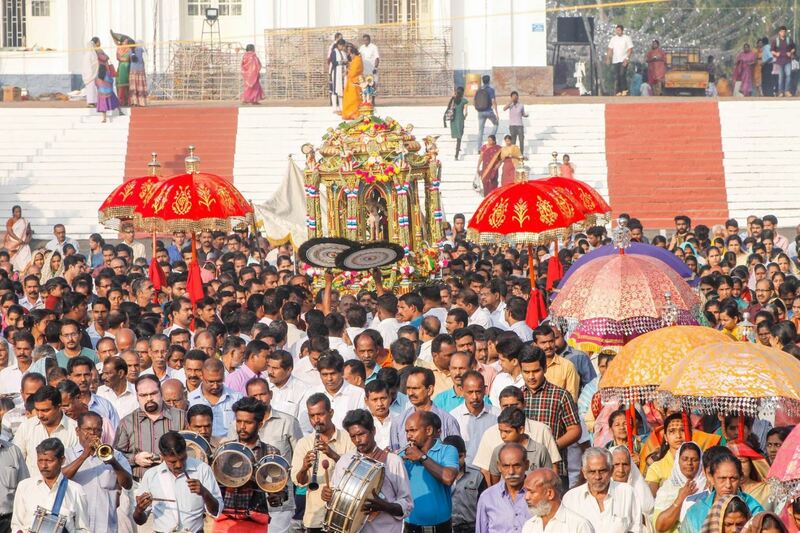 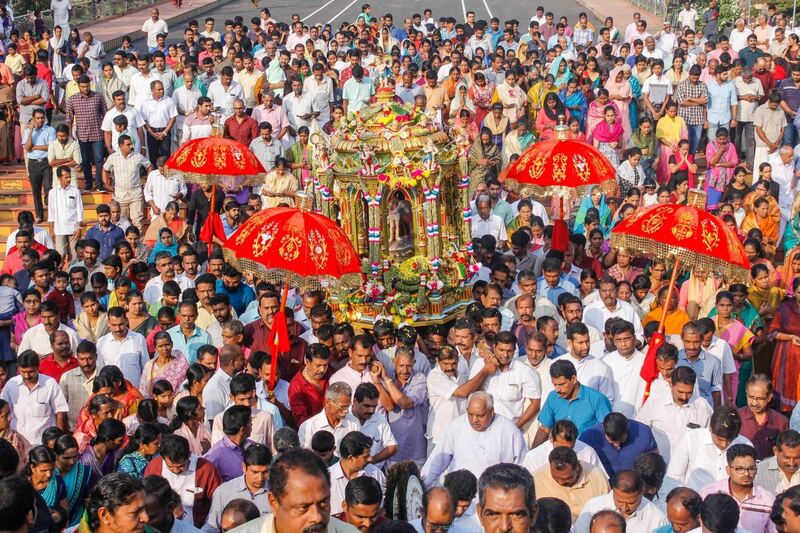 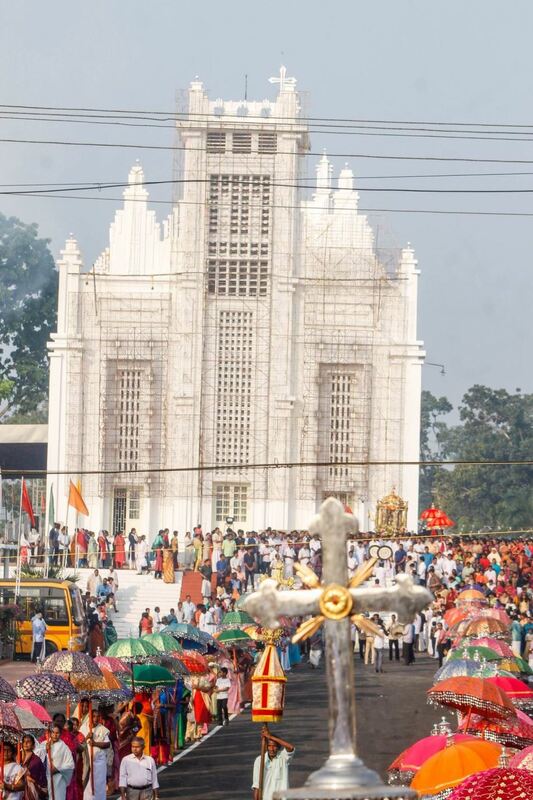 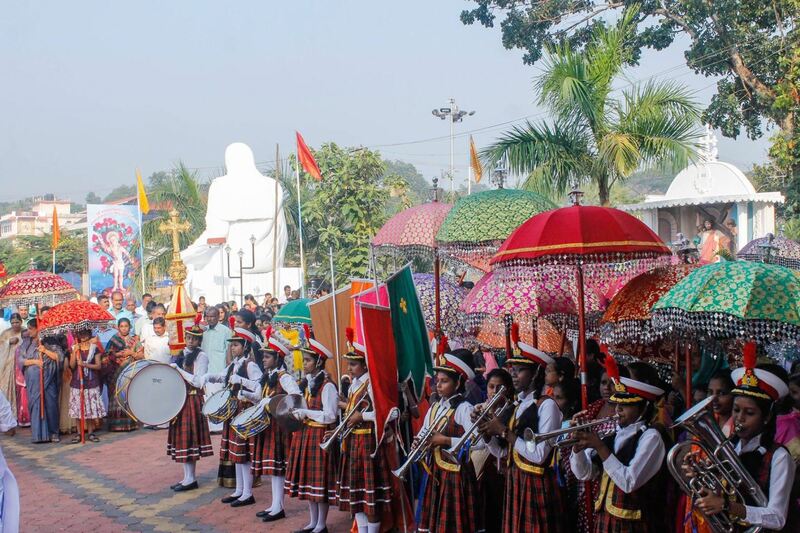 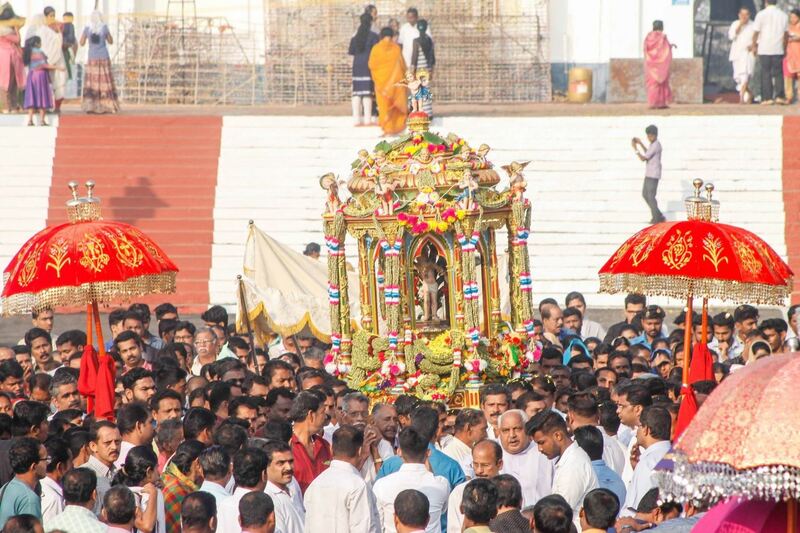 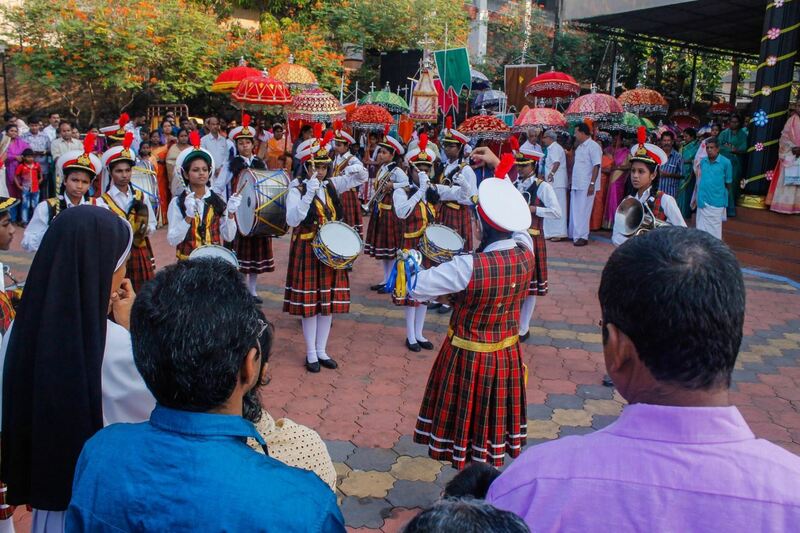 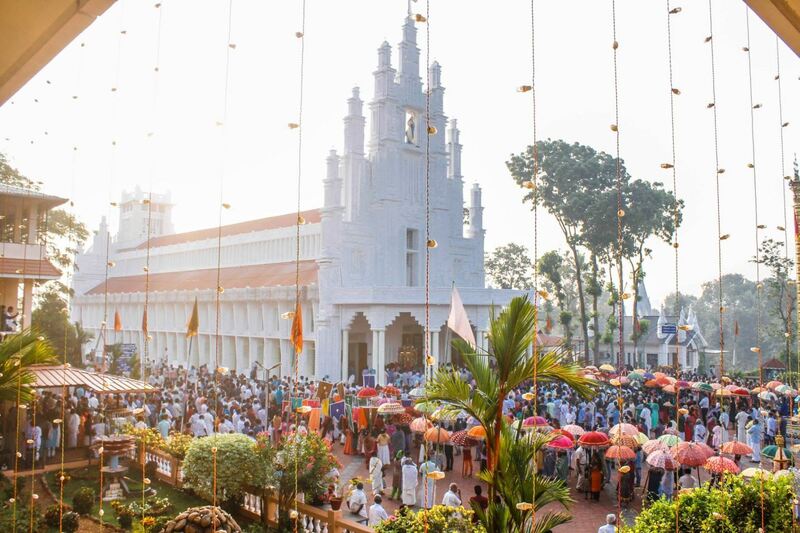 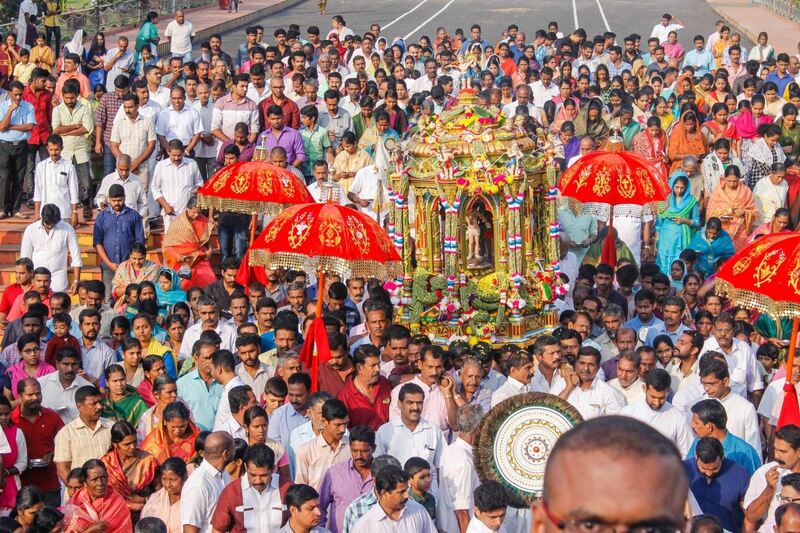 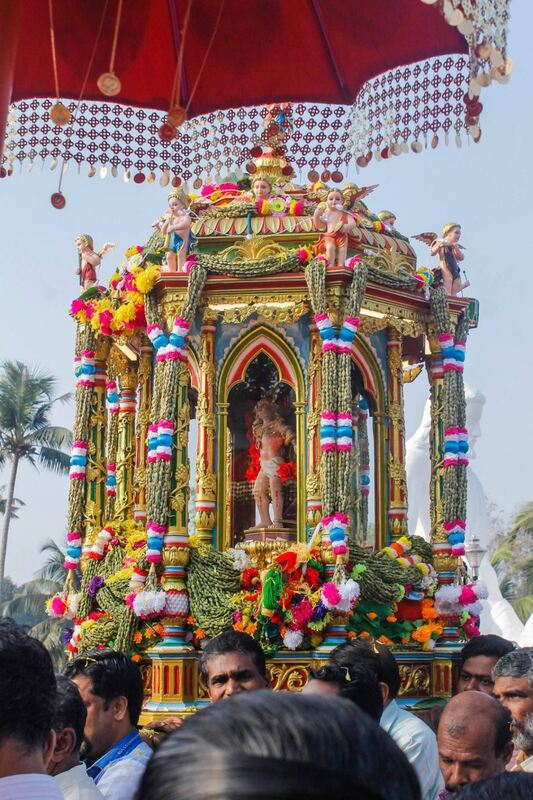 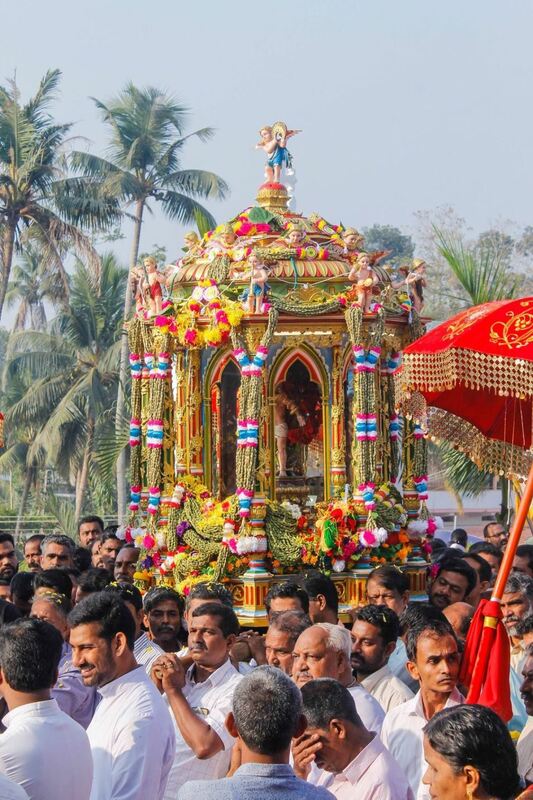 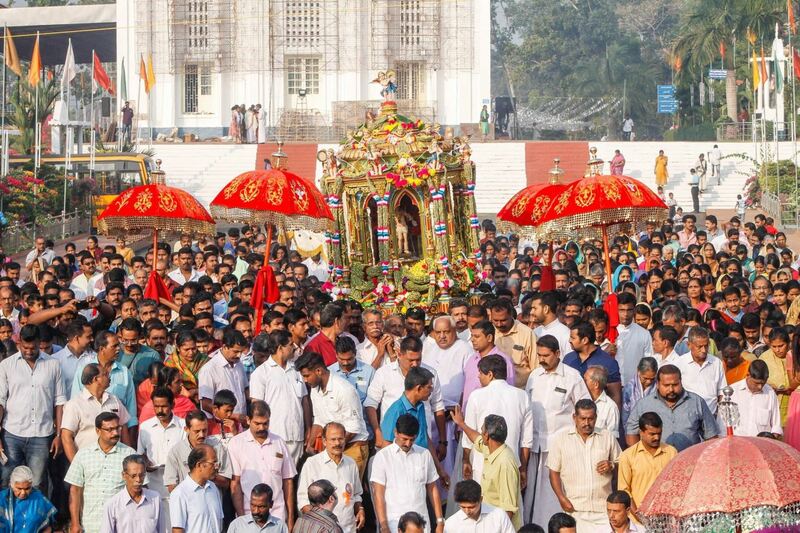 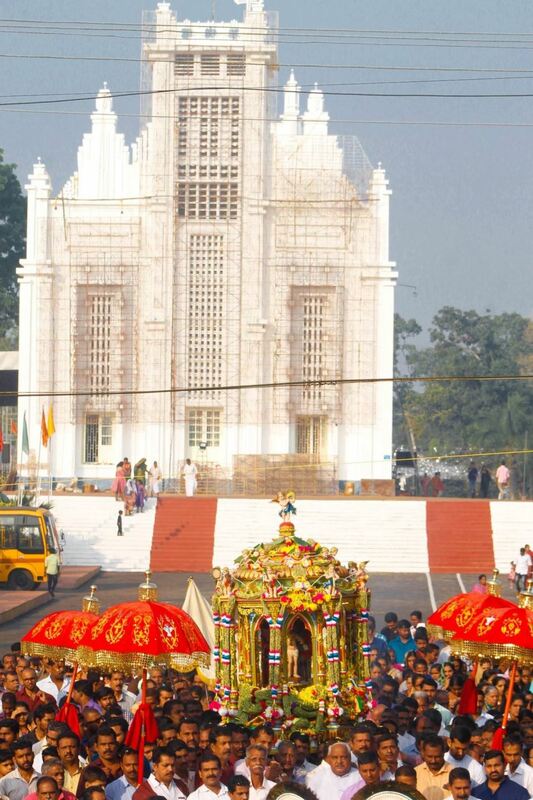 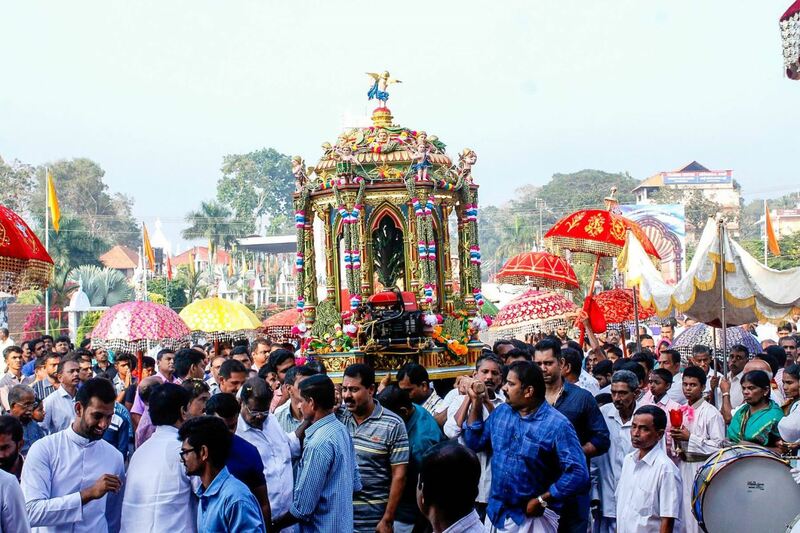 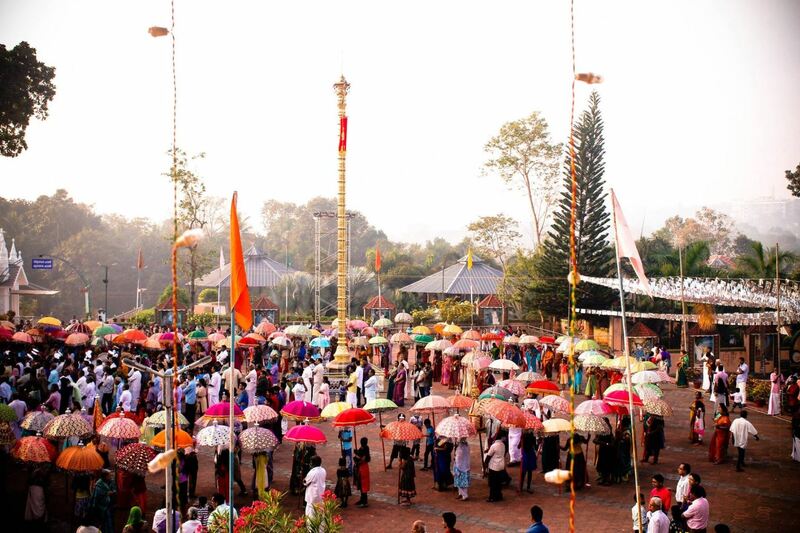 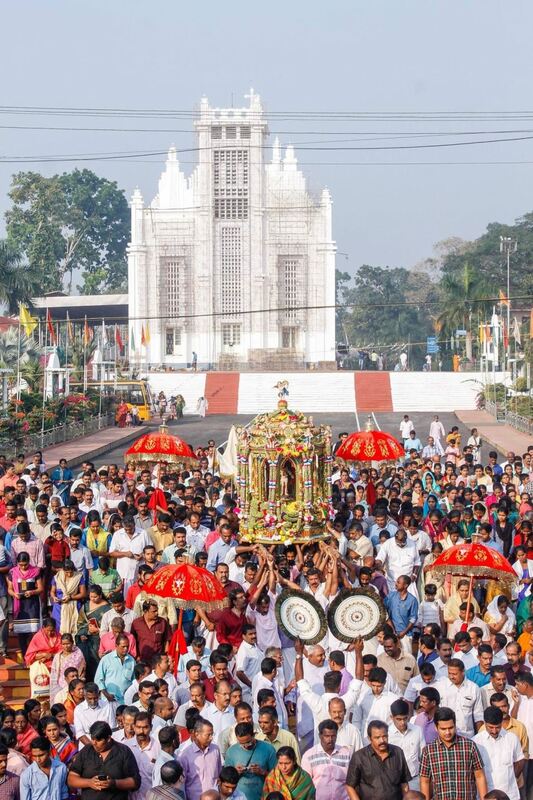 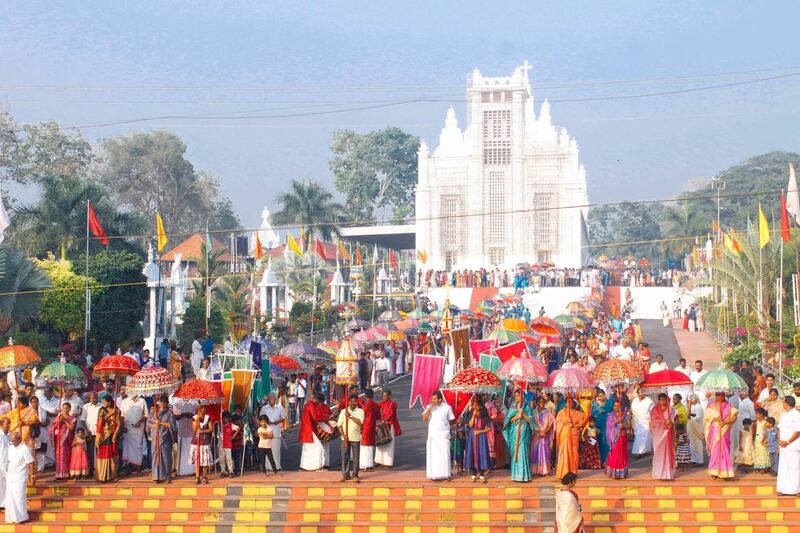 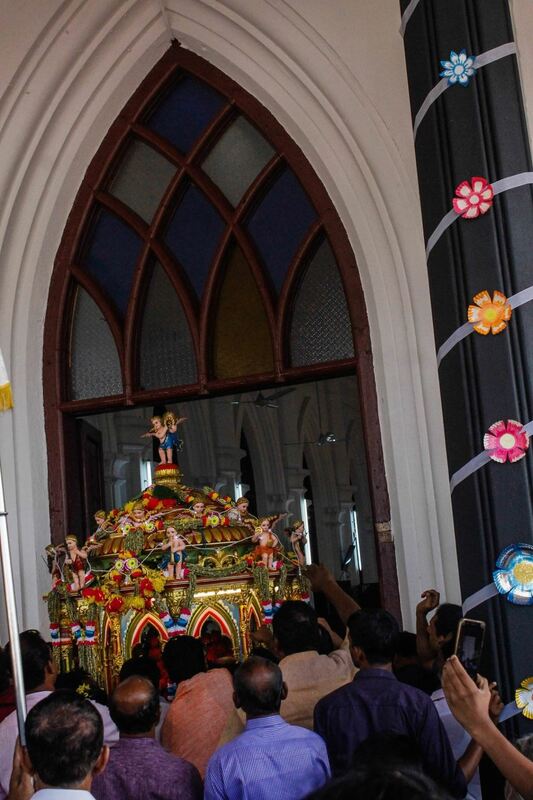 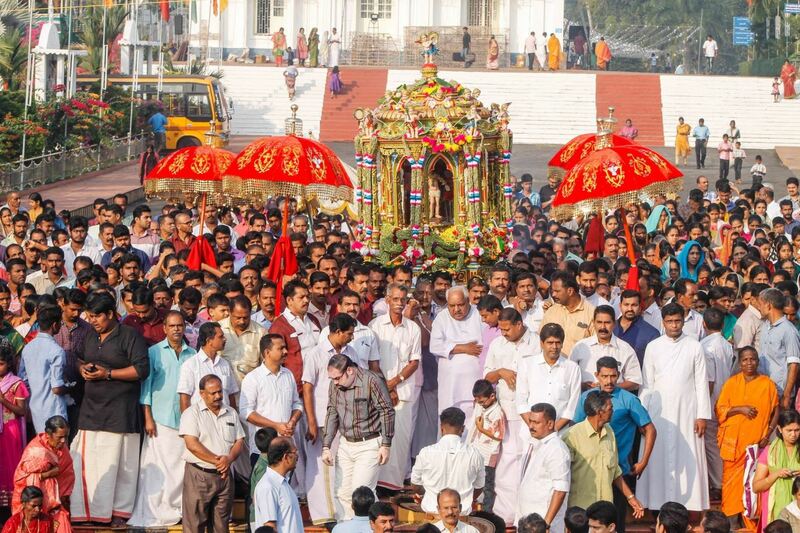 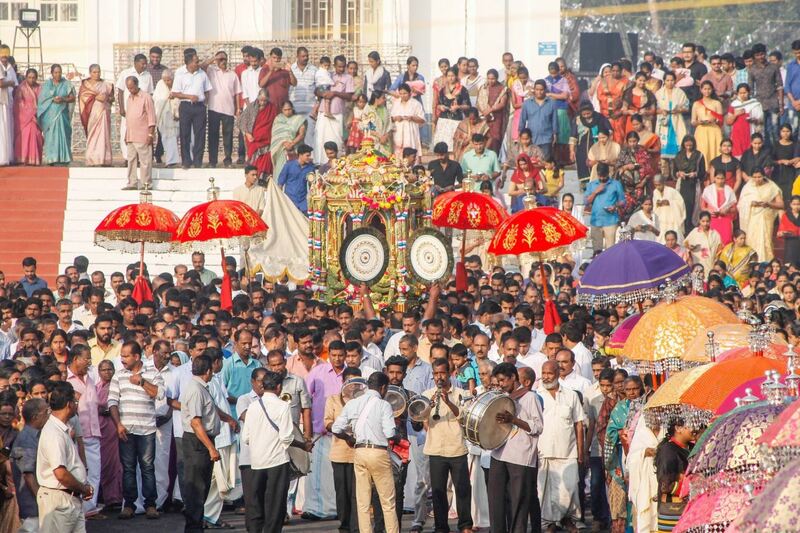 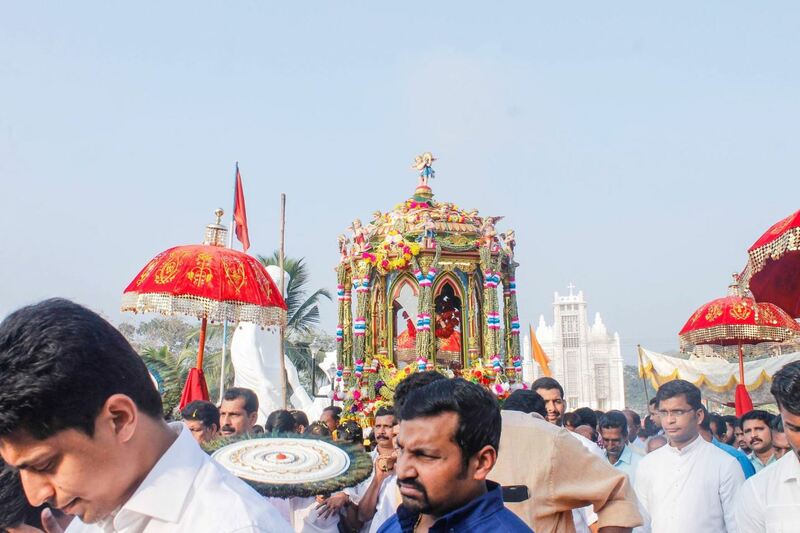 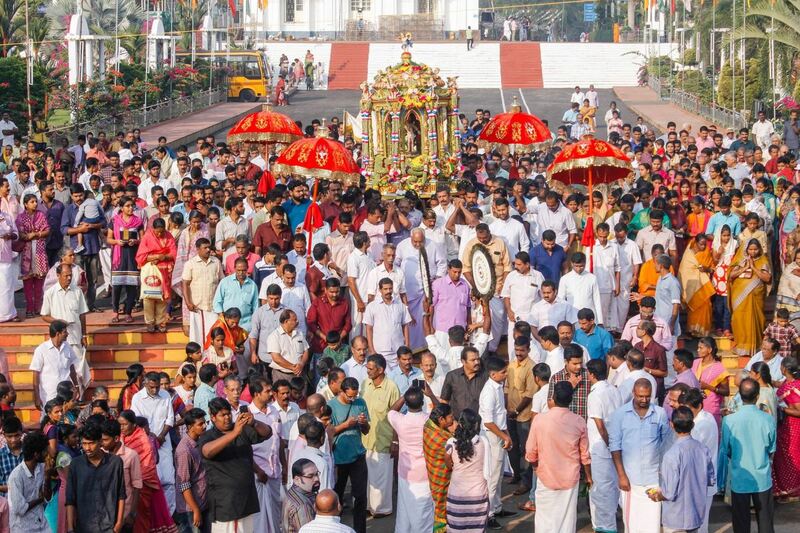 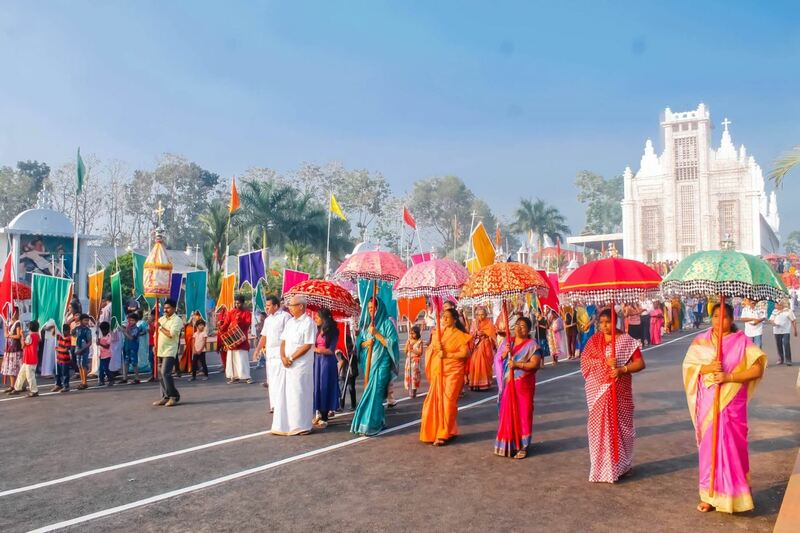 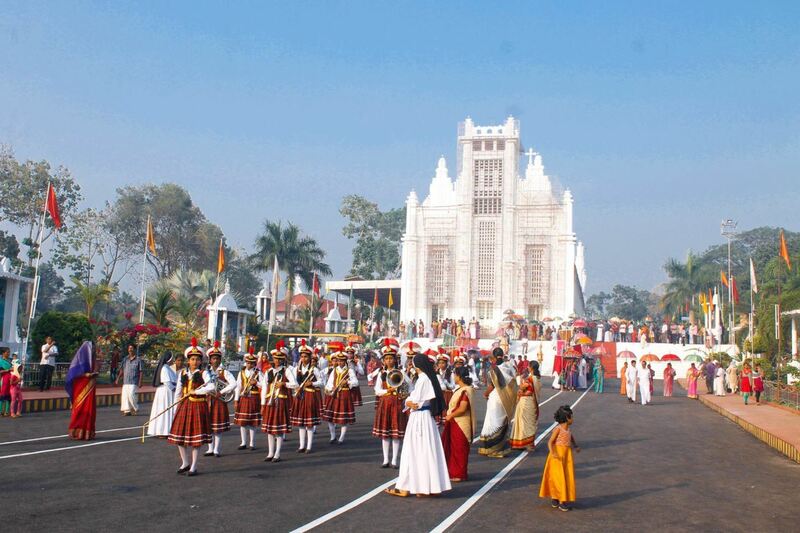 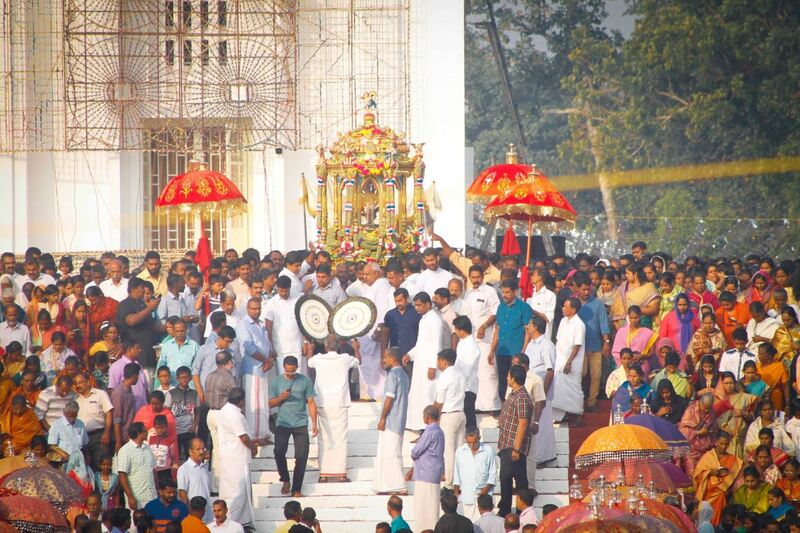 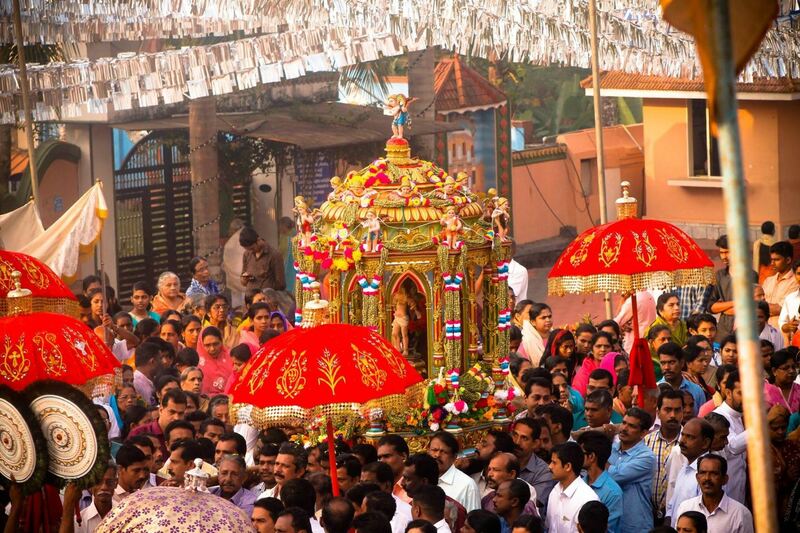 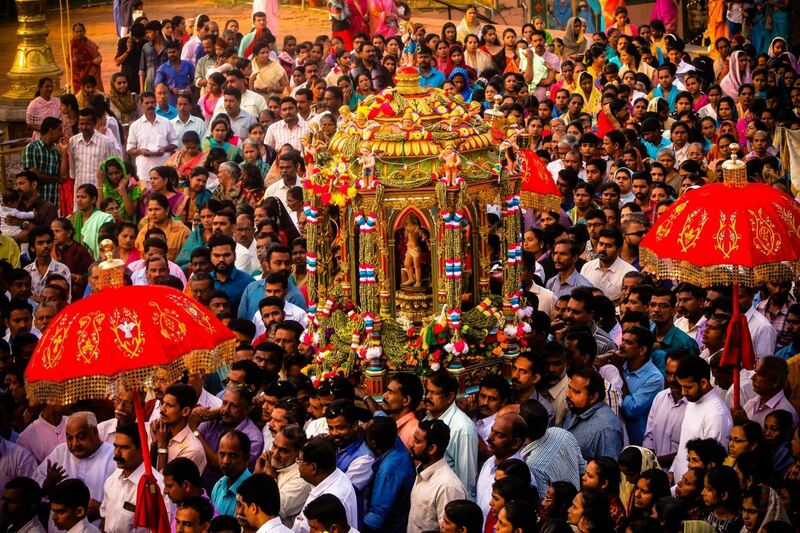 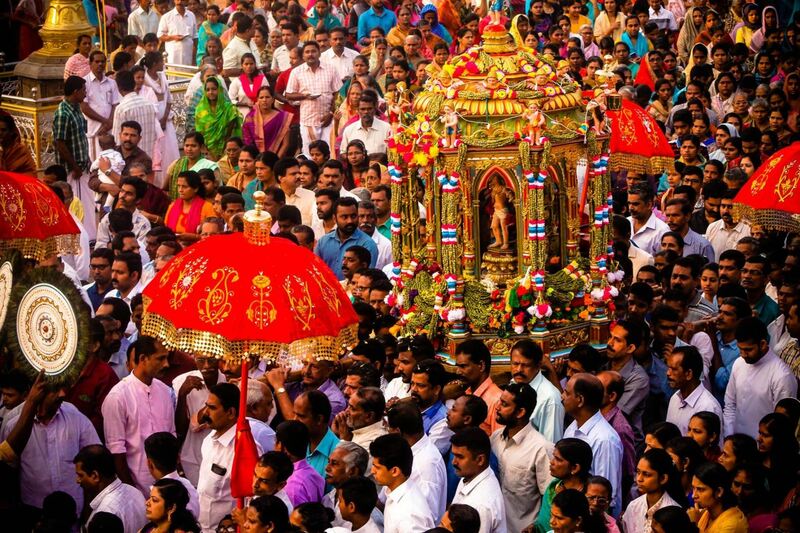 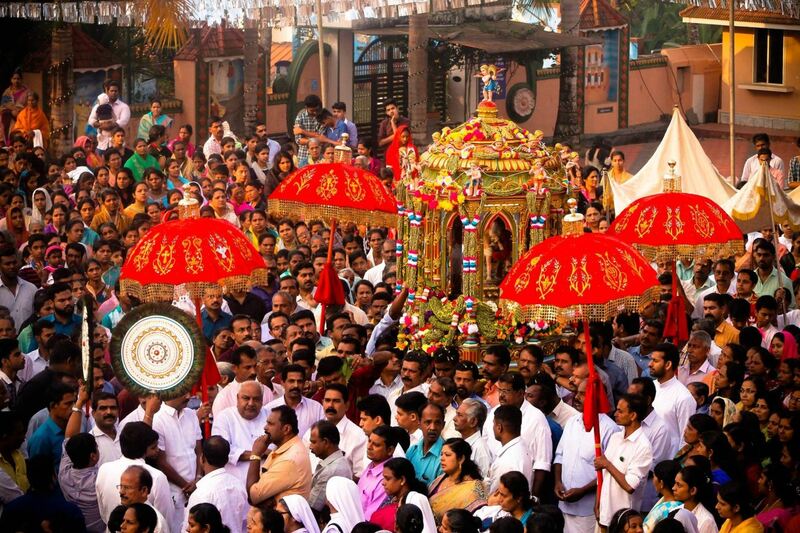 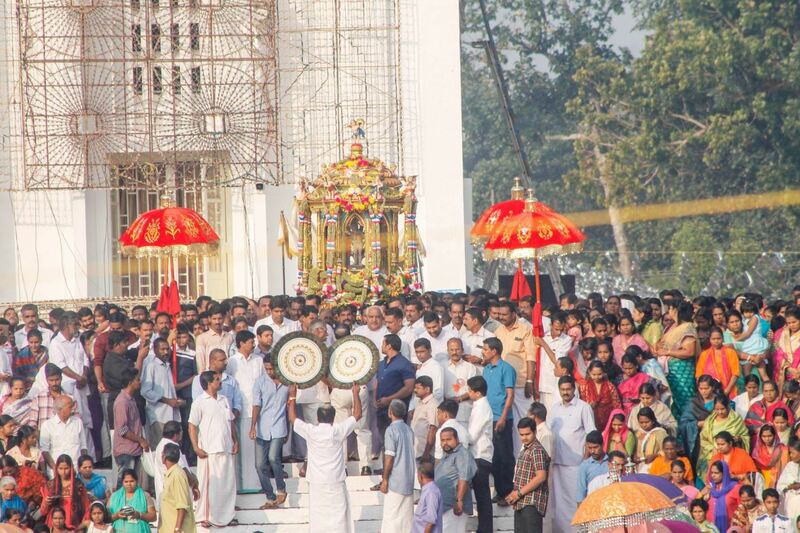 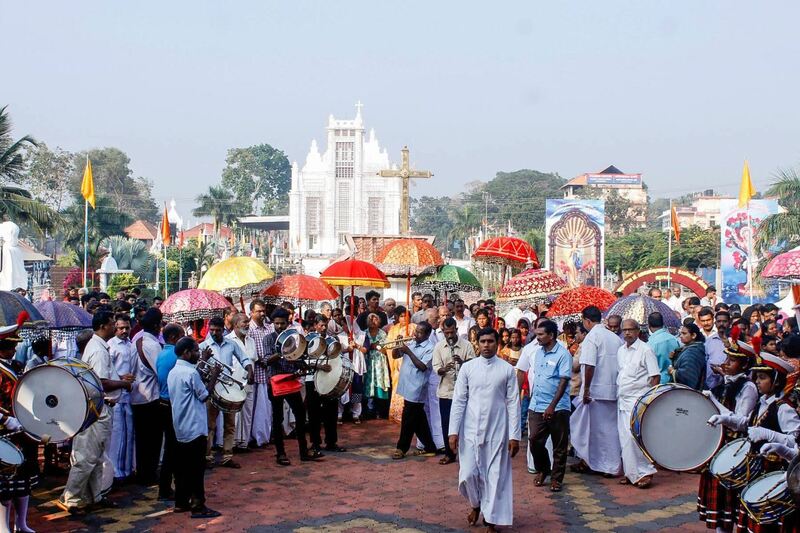 Band including school bands, flags, gold-brass-silver wooden crosses, allavattom, venchamaram, Thazahakkuda, theevetti and beaded ornate umbrellas etc make the procession very gorgeous and regal. 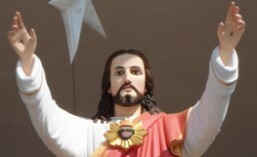 If you can’t hear the audio, click on the sound icon and enable. 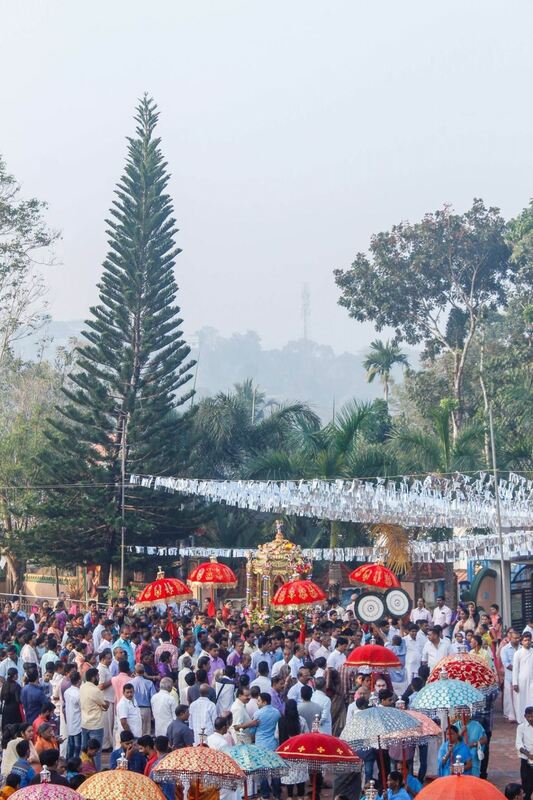 It may be mute. 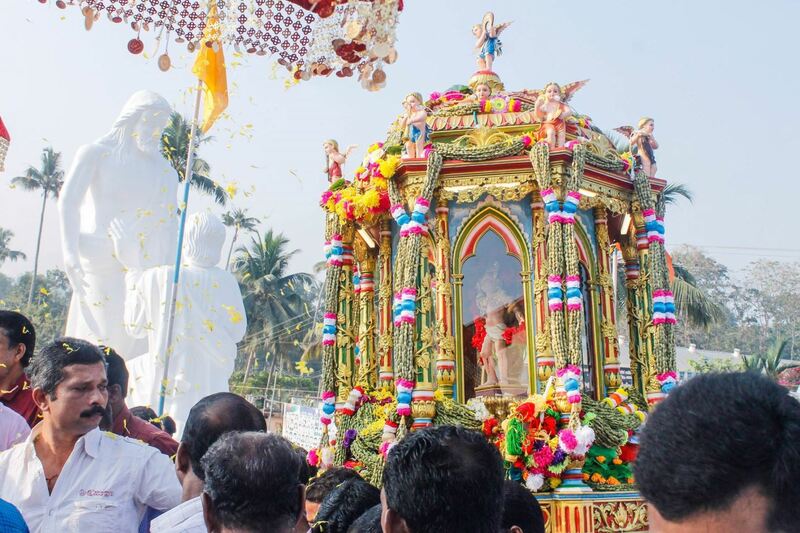 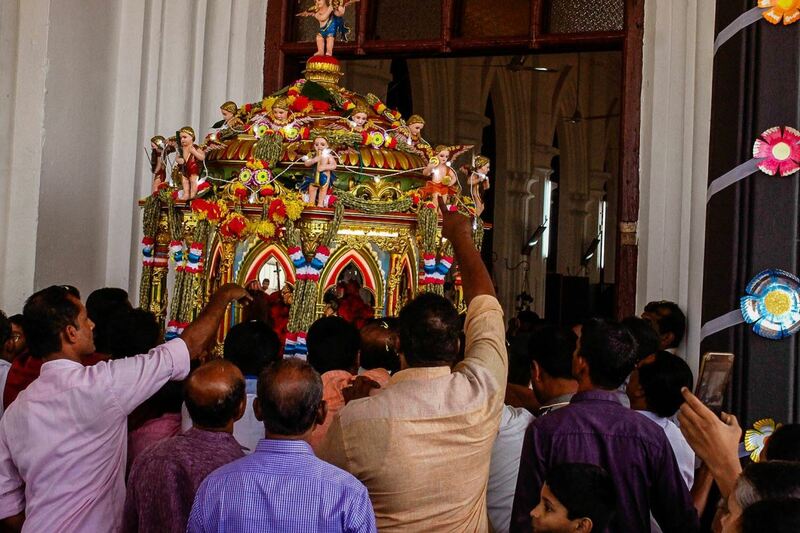 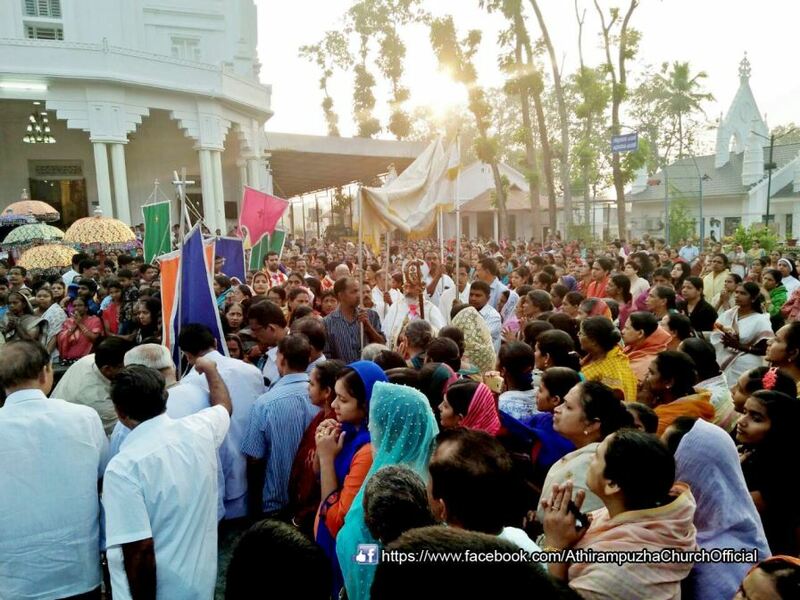 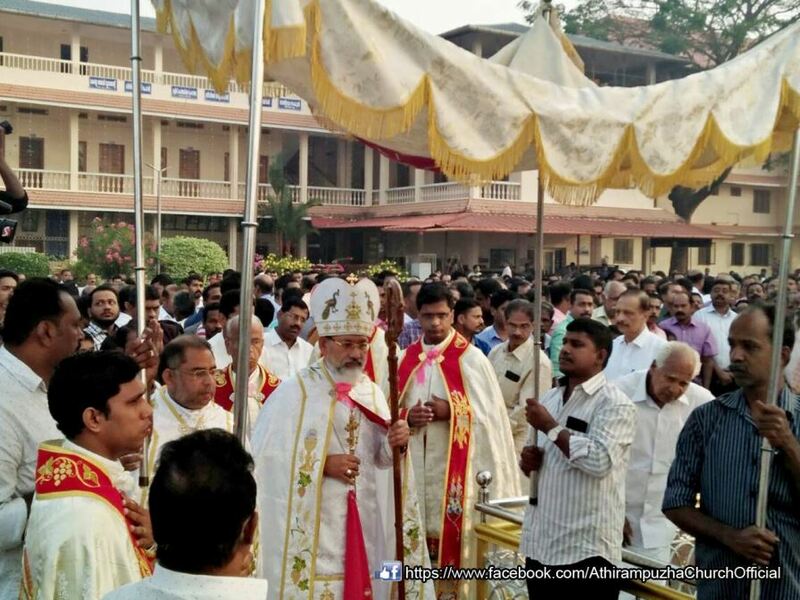 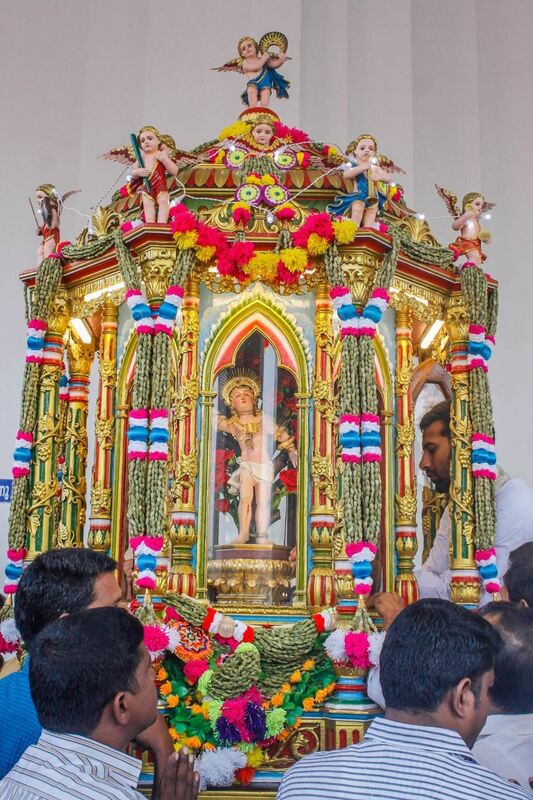 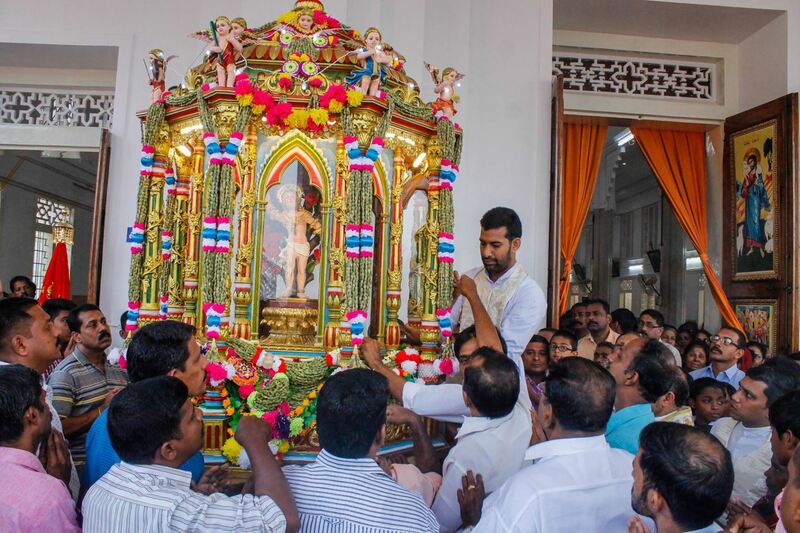 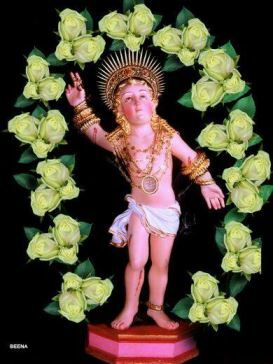 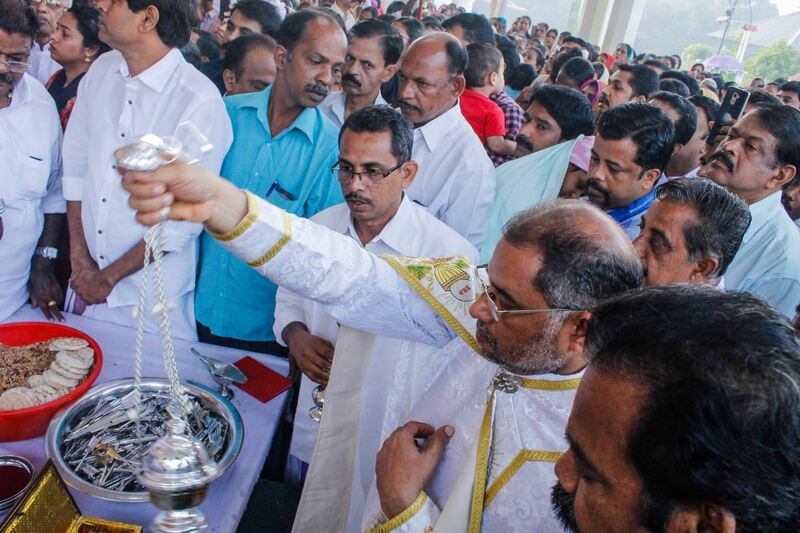 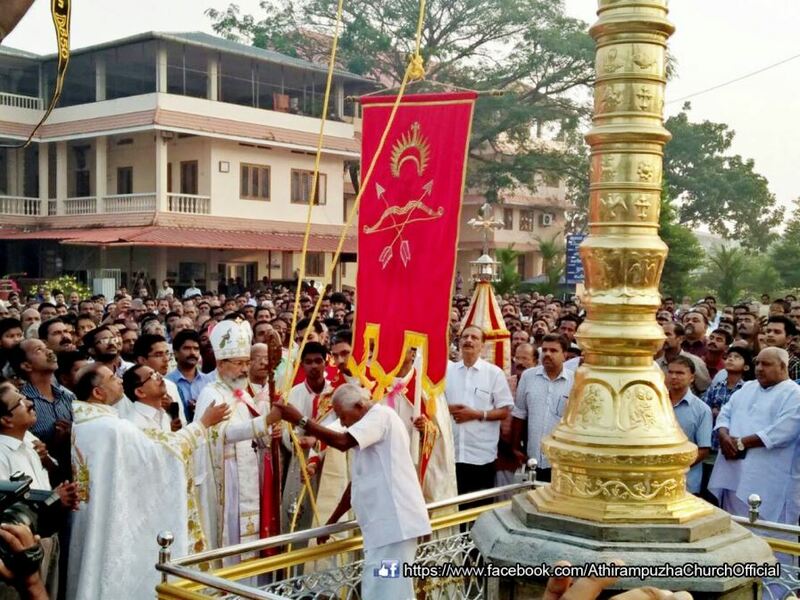 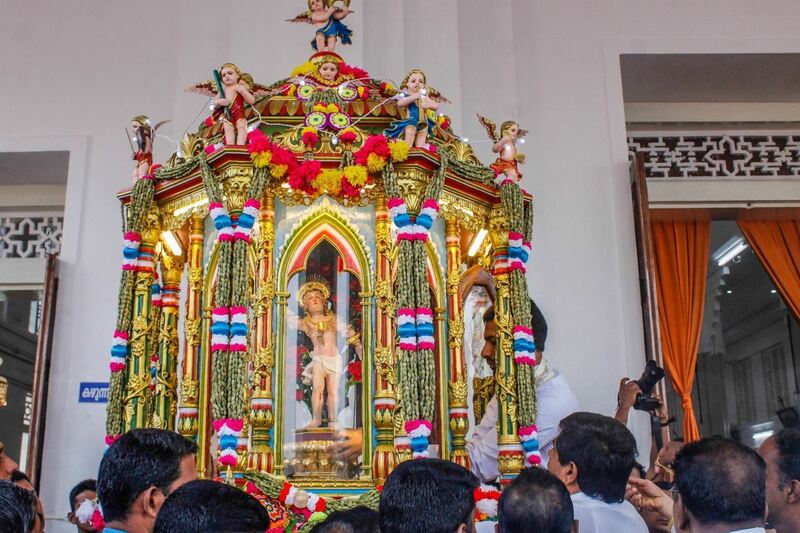 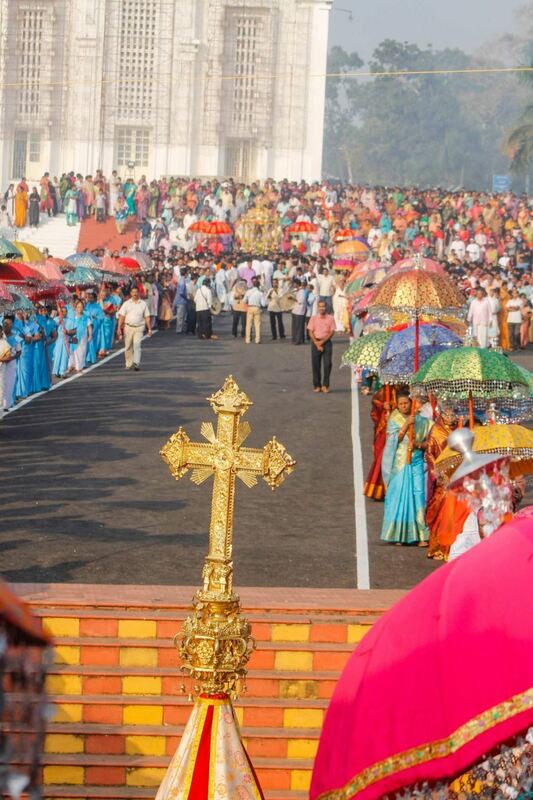 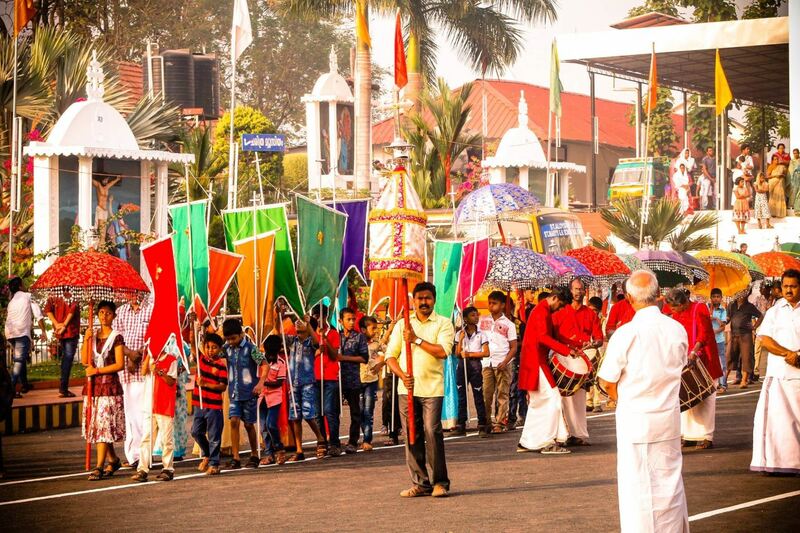 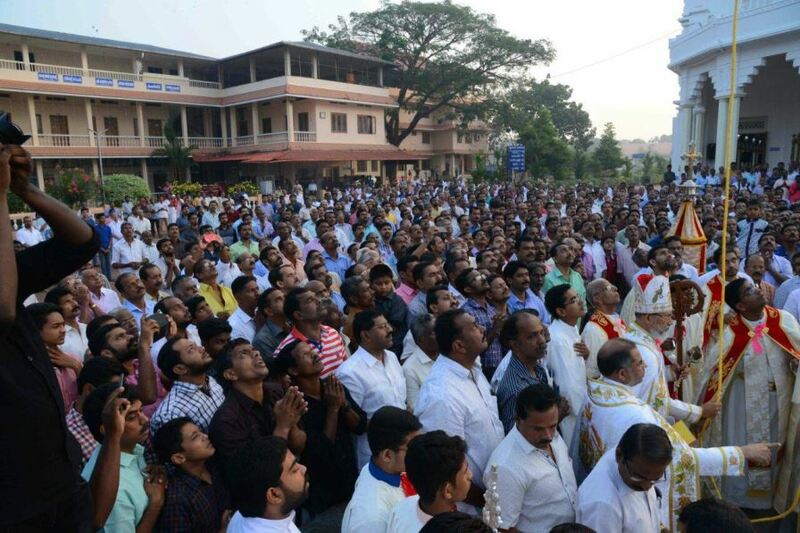 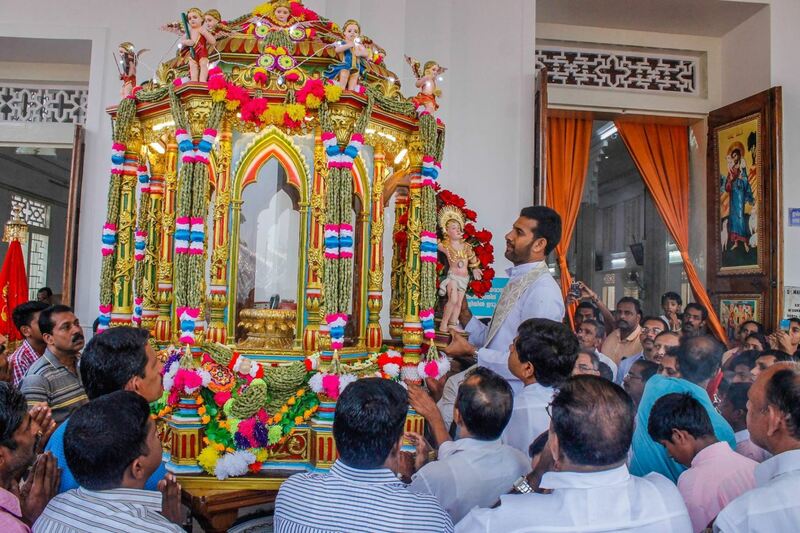 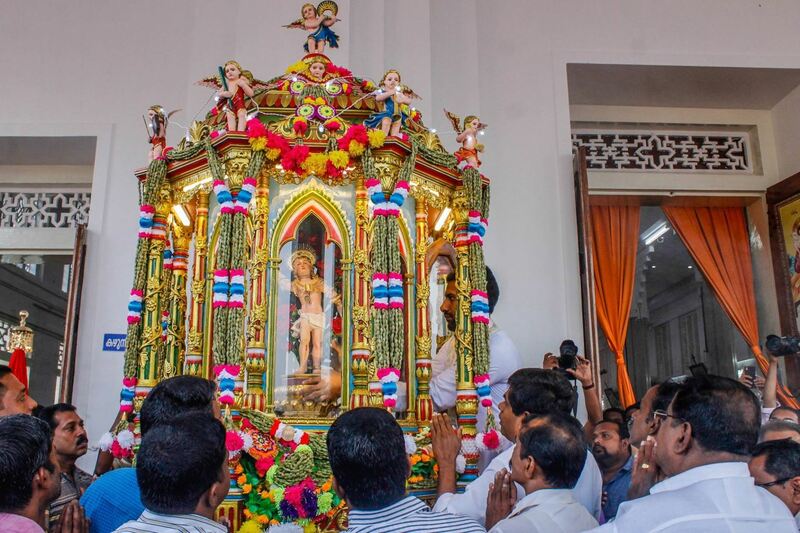 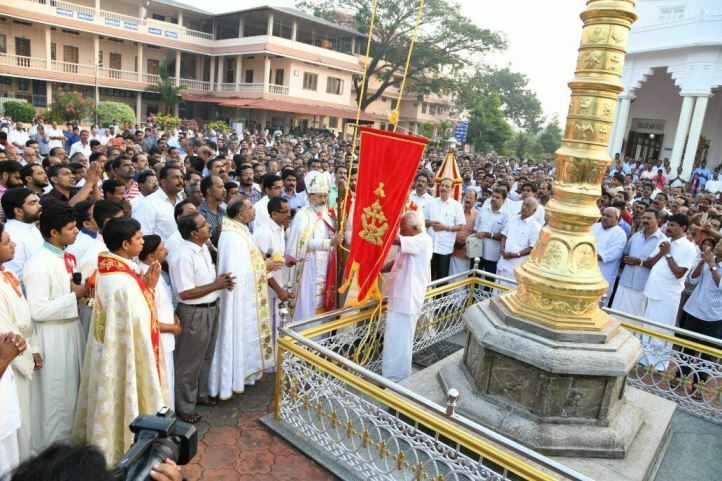 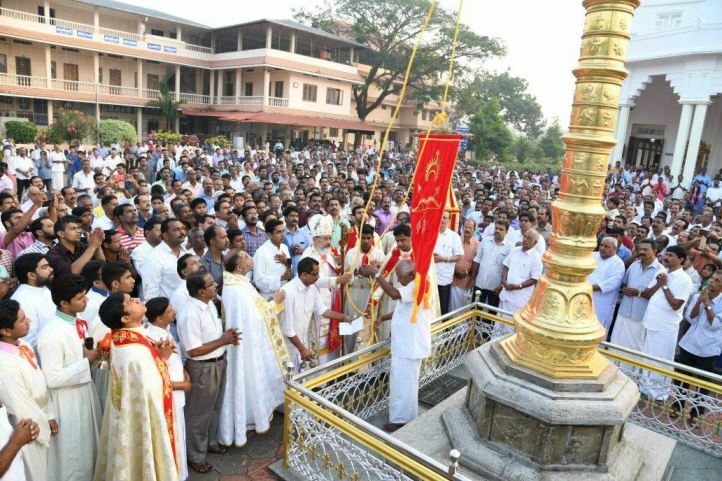 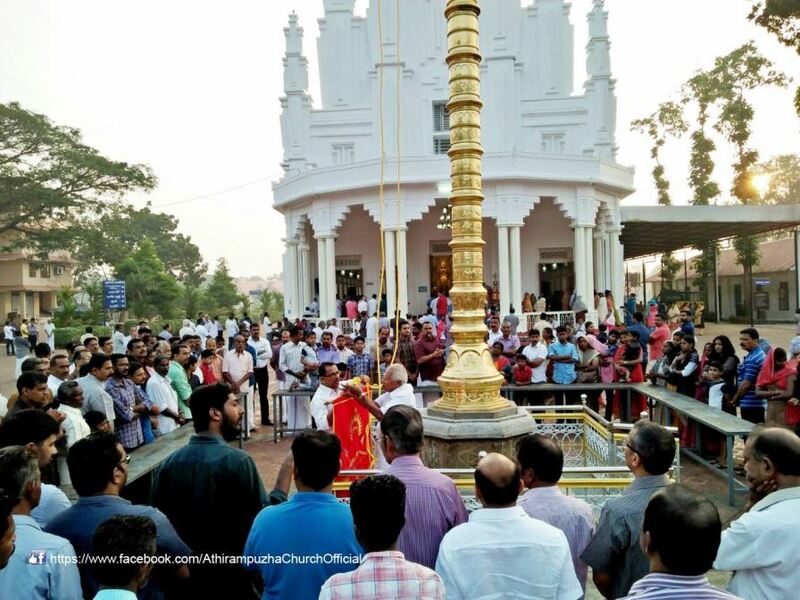 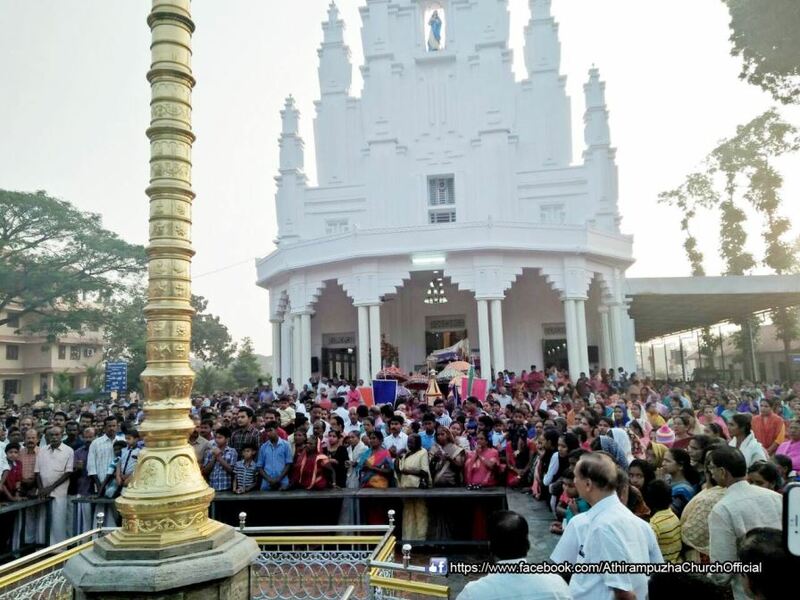 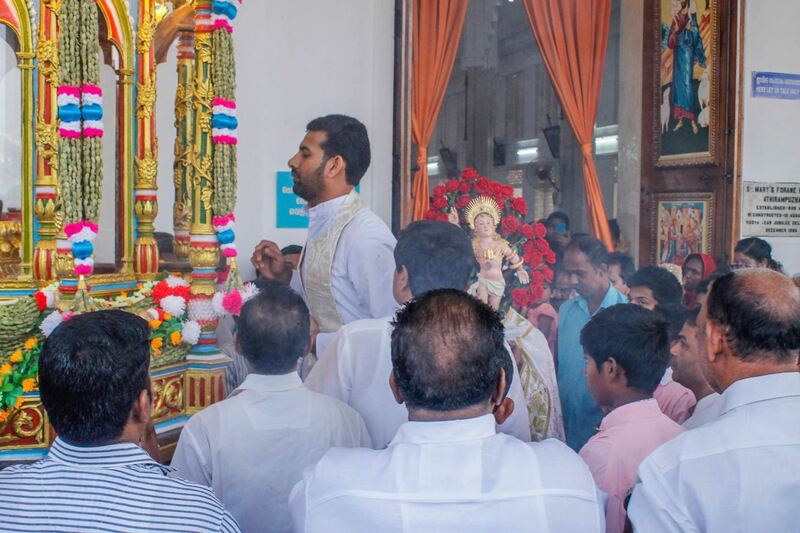 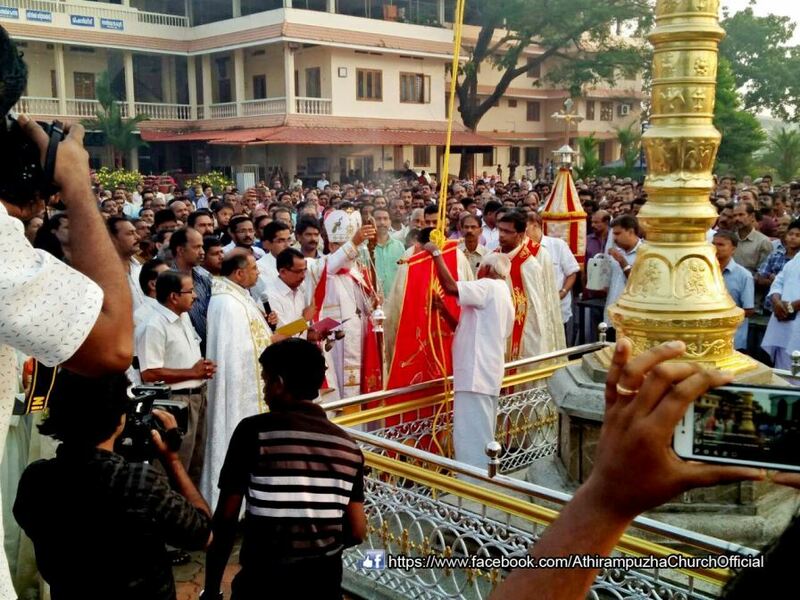 Dedication of St. Sebastian – Photos of famous St. Sebastian’s Feast Celebration at St. Mary’s Forane Church, Athirampuzha, Kottayam, Kerala, India. 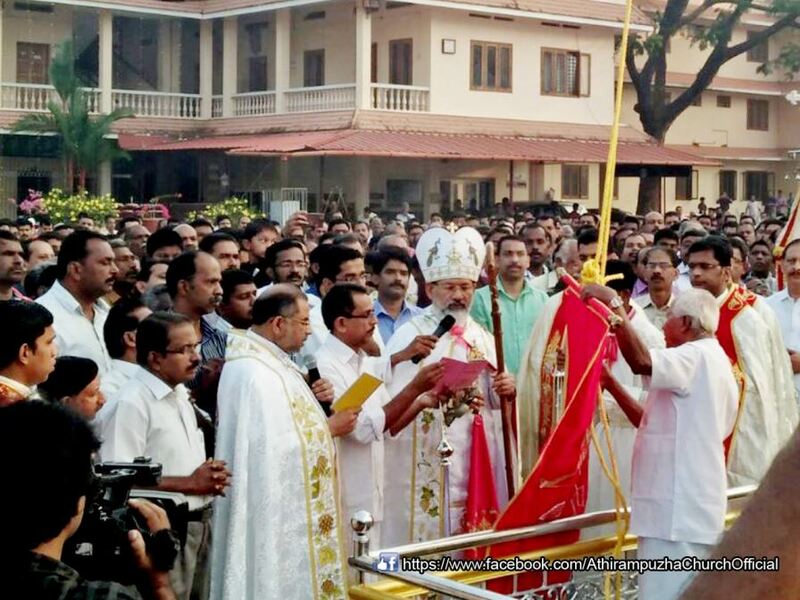 Dedication of St. Sebastian for the faithful to pray.